If you’re itching for an RPG with a great story and countless hours to lose yourself in a world, Spiderweb Software’s have been making them for a while now (20 years). While some people may not fully appreciate the retro-look their games have, those people can get over it. 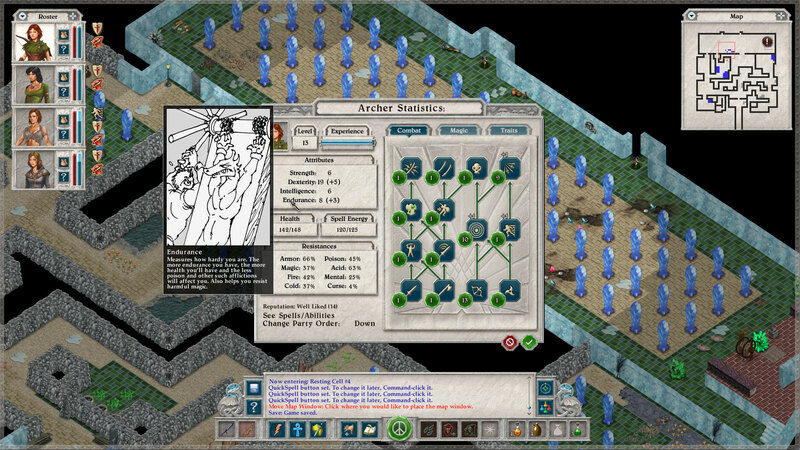 A good game is a good game and Spiderweb Software releasing a reworking of one of their original games today called Avernum 2: Crystal Souls since the original doesn’t run to well on modern machines. All I know is, after putting I don’t know how many hours into both Avadon games, I was sold on the lot and when I had the opportunity to ask Jeff Vogel, the President of Spiderweb Software a few questions, I took it! TheVideogameBacklog.com: The games are fairly epic in scope, what exactly is your inspiration for the Geneforge, Avernum and Avadon games and how do you keep from getting them crossed over in your mind? Jeff Vogel (President of Spiderweb Software & Game Developer): Every game has a different set of minor influences. However, most of my game series come from a simple bolt of inspiration. Like, hey wouldn’t be cool to have a game in one giant underground nation? This became Avernum. Or have a game where your whole party is weird genetic mutant monsters you create? This became Geneforge. All my series came from one bolt from the blue that grows out of control. I keep from getting the series mixed up by only ever working on one game at a time. When I start a new game, I forget everything about all the others just fill my brain with the world I’m working on. TVGBL: With Avernum 2: Crystal Souls, that is effectively 9 Avernum games in total. The two latest are remakes of the originals. What previous games do they cover or do you have four more games to create? 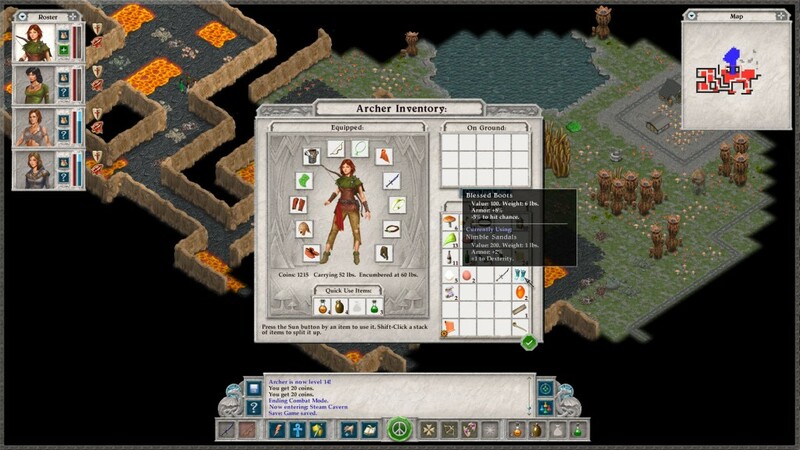 Jeff: There are seven completely original Avernum games. Avernum 1-6, plus Blades of Avernum. 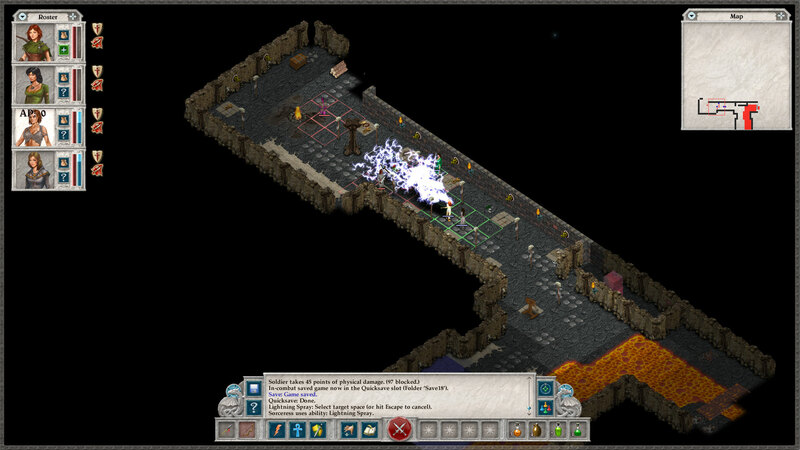 Avernum: Escape From the Pit is a rewrite of Avernum, and Avernum 2: Crystal Souls is a rewrite of Avernum 2. I’m going to rewrite Avernum 3, our most popular title ever, in a year or so. I might rewrite Avernum 4-6 someday, but, for now, the Geneforge Saga will be next in line for polishing. TVGBL: For fans of the series (and I know this question is on your site), but do you have any idea on when an all new story for the Avernum series will happen? Jeff: Maybe someday. Soon. Later. Probably never. No idea, really, but I’m dubious about it. Seven games is already a lot. TVGBL: So let’s talk more about the game. 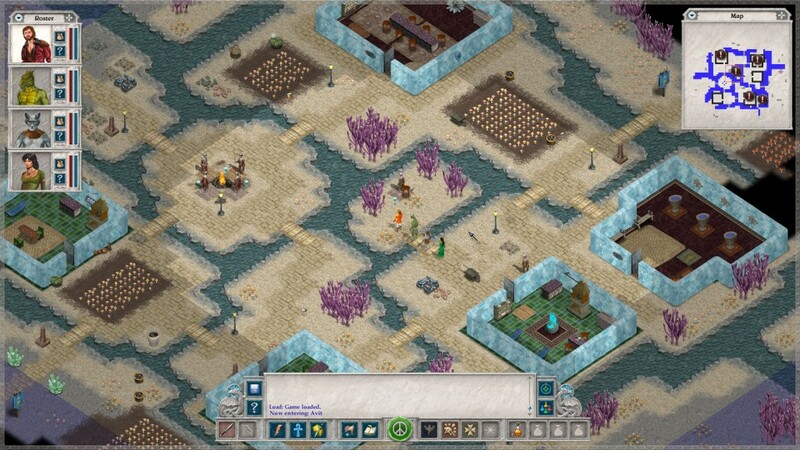 What’s something about Avernum 2 that you are excited for players to experience? Jeff: The story. Avernum 2’s storyline has always been a fan favorite. It’s really neat. 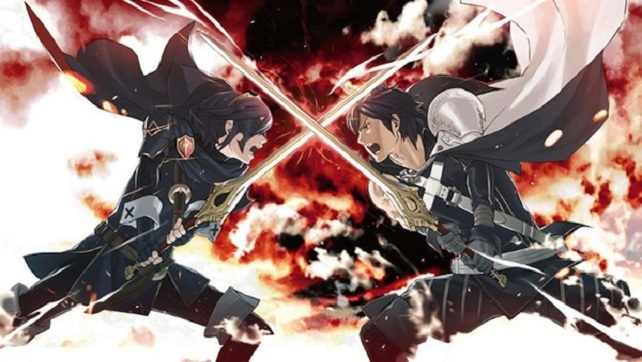 TVGBL: Also, are there any major differences in this game versus the original? Jeff: Everything is rewritten. Every encounter, line of dialogue, item on the floor, everything has been redone to make the best Avernum 2 experience we can make. New quests, new stuff to do, some entirely rewritten dungeons. A lot will be familiar, but a lot won’t. Jeff: Probably between 50 and 80 hours for a serious completionist. TVGBL: I’ve got to ask this, but you’re underground, below the Earth. Is there a chance that I can play a Dwarf? I love playing Dwarves… just to throw it out there. Jeff: I have always resisted using the standard clichéd races in our games. No orcs, no elves, no dwarves. Avernum 2 has a variety of weird non-human races, like the nephilim, each with their own cultures, factions, etc. But it’s new. I don’t do games with elves. TVGBL: If the answer is no (then why not? /sarcastic complaint), would you consider adding Dwarves into a game so I could use him/her as a main protagonist? Jeff: Yes, if I can find a way to make dwarves more fresh and interesting than a race I make up from scratch. Which, I guess, means no. TVGBL: While I love the 2D isometric view because it reminds me of my time in Ultima Online, why stick with the design choice? Is it more simple to design and thus help you get your ideas out quicker or it just a love of the aesthetic that it creates? I’ve had a few complaints about it when I showed people the Avadon games and I’ve wanted to flick them in the nose. 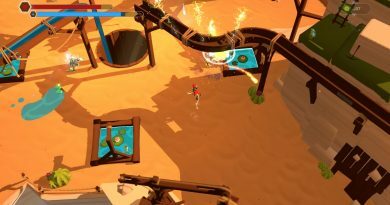 Jeff: I think it just works well for this sort of game. That said, in a few years, when I write my next all new game engine, I’m switching to a different sort of presentation, much closer to my early games. TVGBL: Is it true you’ve created 22 games in 22 years? Do you think you’ll be slowing down any time soon or are you just getting started? Jeff: I’ll slow down. I’m middle-aged, with a family and all the other burdens that come with age. But I doubt that I’ll ever stop as long as I’m alive. TVGBL: Will you be redoing the Geneforge or Nethergate series in a similar fashion? Jeff: Geneforge, yes. We’ve already redone Nethergate as Nethergate: Resurrection. TVGBL: Is there anything else you’d like to say to the readers? Jeff: We write huge, cool, old-school, indie RPGs. We’ve been keeping people happy for over 20 years. Try us out. If you’re skeptical, get a big, free demo at spiderwebsoftware.com. Thanks! As I’ve stated, I’m a big fan of the games that come out of Spiderweb Software. I look forward to many hours of my life put towards playing Jeff Vogel’s newest addition to his library of games he’s made. That’s even though he’s basically said that he’ll never put Dwarves in his games. That’s fine… I guess. I’ll let you know what I think in a bit after I get my feet wet. Have any of you played one of Spiderweb Software’s games? Let me know what you guys think below! ← RMM: Ailingforale Returns To Minecraft!